The works of Leonardo da Vinci are world famous like The Last Supper, St John the Baptist and of course who can fail to mention the beautiful Mona Lisa who has captured the hearts and interests of many for centuries. Much like da Vinci's paintings, this slot game is a priceless work of art and you will be the beneficiary. Inspired by Leonardo da Vinci himself and his diamond the Mona Lisa, Double da Vinci Diamonds will test your talents and skills. If you have always admired the work of Da Vinci, then read more. Although you won’t be expected to be an architect, engineer, painter or sculptor to win the prizes, you will need some luck and some determination to hunt down the da Vinci’s world-renowned paintings. This exciting and unique slot game is classically laid out with 5 reels but is played across 40 paylines which are adjustable, which is great news for players who are experienced as they are able to tailor the game to suit their budget. Likewise, it makes the game perfect for beginners as the paylines can be adjusted down to a more modest budget to start with. 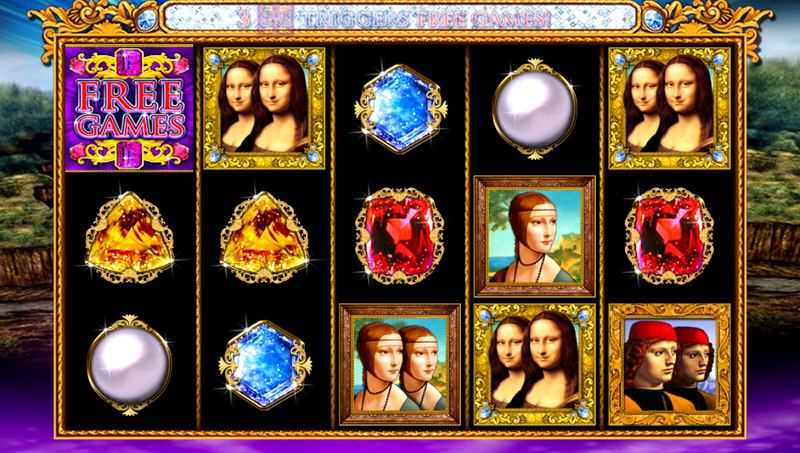 Double da Vinci Diamonds will have you on the hunt for the replica paintings that the master created and in exchange for these paintings you will be rewarded handsomely with up to 5,000 coins as well as being reimbursed generously with gemstones when you trade in some of da Vinci’s finest masterpieces. Keep your eyes on the prize, the Mona Lisa, which is the highest paying symbol on the reels. The game has a great number of bonus features which will spur your on during the hunt for the masterpieces including Tumbling Reels which will allow you to win numerous times in one spin. You can take full advantage of the Free Games feature which means you can win anything between 6 to 16 free spins, which will propel you forward in the hunt. 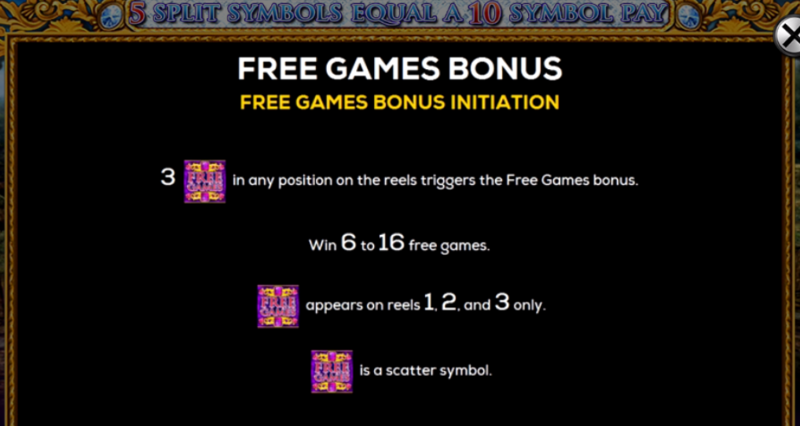 Another feature to take advantage of is the Split Symbols feature which will see you-you made 10 of a kind combinations with the symbols to reap some fantastic prizes. The smooth, slick and impressive graphics make the gameplay of this slot game a pleasure to play as well as offering up some lucrative features, especially the Split Symbol feature. Whether you’re an art lover and a da Vinci fan or not, if you love huge cash prizes and cutting-edge graphics, you’ll learn to appreciate the mastery of this slot game.